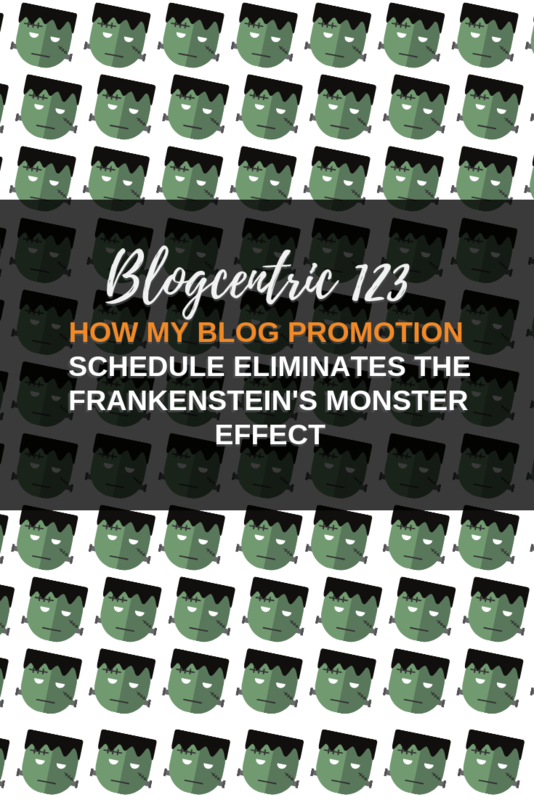 I used to make the mistake of rushing promotion of my blog posts. It’s silly, I spend a lot of time creating them you’d think I’d spend as much time as possible ensuring people read them. But there you are, I’d throw out a few quick lines on Twitter, Facebook and LinkedIn and move on to the next post. Just like Dr Frankenstein who abandoned his creation, I was also leaving mine to fend for itself. 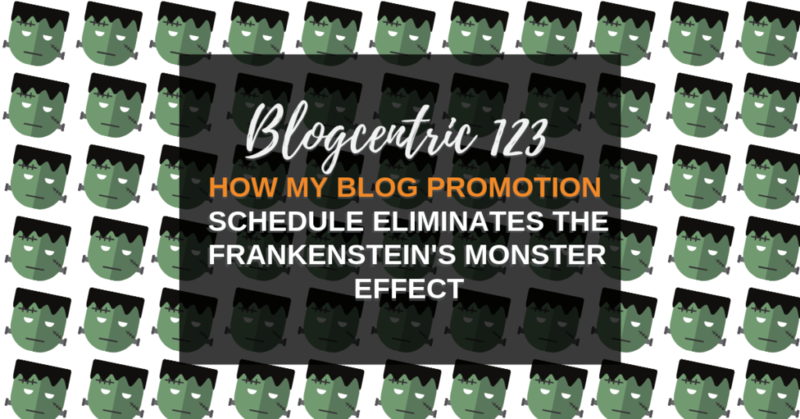 A blog post may not do as much damage as Frankenstein’s monster but it won’t be doing as well as it should be. Does this ring any bells? Are you guilty of the Dr Frankenstein effect? Not anymore. 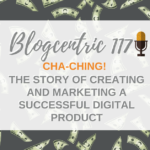 I’ve started planning my blog promotion the same way I plan my posts. I’ve set up a simple system that has changed the way I promote my content and taken the pressure off me when I hit publish. 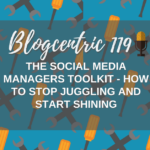 Over the next few episodes of the Blogcentric podcast, I will look at some different ways you can promote your blog. 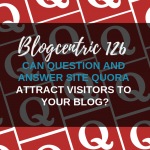 Tools like Pinterest, Medium, Quora and more. Before we get going on that series I wanted to start with the basics. One way to ensure I do everything I’m supposed to when I publish a blog post I’ve set up a document in Google Docs. Google Docs has been a lifesaver for me. I use Microsoft office but it’s slow to open on my mac and buggy. It takes so long to open a document I give into procrastination and I lose the thread of what I was doing. Google docs have saved me so much time. Instead of waiting and procrastinating I can open a document in my browser in seconds and it’s easy to access on any device. 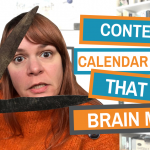 I created a Google Doc outlining each step of my blog promotion schedule. I started by writing each step I took to promote my blog down whilst I was doing it. This formed the basis of my checklist. Next, I reviewed it and looked at how it could be improved. Could I add extra steps? Was I missing any opportunities? Which brings me to step 2. To improve my process, I looked at what social networks I was using and how often I should post to them. Earlier this year Twitter introduced some new rules that banned you from posting the same tweet repeatedly. Although they don’t seem to enforce it particularly well (Big Ben Clock anyone?) I don’t want to trigger anything that gets me in their bad books. Twitter is the only network where I schedule more than one update when I publish a post. I create 3 different updates for Twitter. This may sound time-consuming but I get them all from the blog post itself. For each post I write I have a headline and at least 2 ‘Click to Tweets’, sections of text I’ve highlighted so readers can share them on Twitter. These three elements are what I use to promote my blog on Twitter. I take each one, decorate it with emojis (I find this helps the tweets stand out) and schedule them to go out 5 times each in rotation. That’s 15 tweets in all. It’s not 100% compliant with Twitter’s rules as I’m still sending duplicate tweets but I’m hoping they are well enough spaced to not alert the Twitter police. Finally, I do a Twitter search to see if I can find anyone talking about topics covered in my post and share it with them. There are 4 places I share my posts on Facebook. If the blog post contains a video, I upload that to Facebook and boost the post for €1. This allows me to add a clickable button and a link to the video. If there is no video I post a link back to my site with a pre-written caption. I share a link with a caption to my group. Join the free community for Small Business Bloggers On Facebook, meet other bloggers, share and learn. Some Facebook admins have given me permission to share my content to their groups. I don’t want to lose the privilege so I’m selective about what I share. I’ll only post it if I think it’s relevant to the members. I’m still hesitant to share too much business content to my personal profile. Although I have a lot of business contacts there, I’m mindful of not filling my non-marketing friends feeds with what I’ve created. I have a filter on Facebook that allows me to share posts with just the people I put on my ‘business friends’ list. This helps keep my friends happy whilst still posting to the people who are most interested. I don’t do anything fancy here. I post to my profile, my business page and the group I manage. There is real room for improvement. I create a Pinterest optimised image for every post and I use the Social Warfare plugin to ensure it’s that image that’s offered to anyone who pins it. I share to Pinterest as soon as I publish but I’m planning on expanding my activities and optimisation here as part of the coming series. Don’t laugh! Google+ still exists and although it doesn’t deliver traffic to my site, I find it the quickest way to get Google to index my site. It only takes a moment to share. I’ve been a lazy ‘grammar of late so I haven’t been promoting there. However, when I do I use a photograph of my iPad displaying the post. I feel this fits the Instagram aesthetic more than a screenshot. I also share it to my Instagram story but again, there is work I can do to improve this. If I mention anyone or a business in my post, I tag them when I share the post the first time. I only do this once as I don’t want to overwhelm them with notifications. Back to my favourite too. Google Docs. I set up a new Google doc for each blog post I write. This means I can ensure my updates are better planned, scheduled and always at the tip of my fingers when I need them. I create a Google doc listing each network and update I need to make and I populate it with my updates. This has almost eliminated the embarrassing typos that used to populate almost every update I made. No scrabbling around trying to type something just after I’ve published. I have all my updates laid out to copy and paste into the social networks. Now I have everything in place this is the easy bit. I use AgoraPulse to schedule all my social posts (except Facebook, for some reason). Their scheduling and queuing make it easy to schedule my prepared updates. One of my goals with my content is to get as many eyes on it as no matter the location or format. I’d prefer people saw it on my site but if they don’t get there, I want to make it easy to access elsewhere. So I republish my posts no sooner than 7 days after publication on Facebook notes, LinkedIn publishing and Medium. On LinkedIn and Medium I can set up draft posts and hit publish after 7 days have elapsed but the formatting on Facebook notes goes wonky if I do this so I create the note when I need to publish it. I’ve been running this system for the last 10 blog posts and I’ve found it timesaving and effective. But nothing is ever perfect so I’m working on improving it. That’s why I will cover some new promotion techniques over the next few episodes. We’ll all learn together how to promote on these new channels and whether they are worth the time and effort. If you want to boost your blog traffic and learn new skills join me in the challenge to grow your blog using less usual networks. Each week I’ll discuss a network and how we can use it to promote our blogs, we’ll look at how others do it and implement the techniques we use. Are you in? Join the Small Business Bloggers group on Facebook for updates.